From sanding to cutting to drilling, power tools are the bread and butter of around-the-house DIY and amateur workmanship. 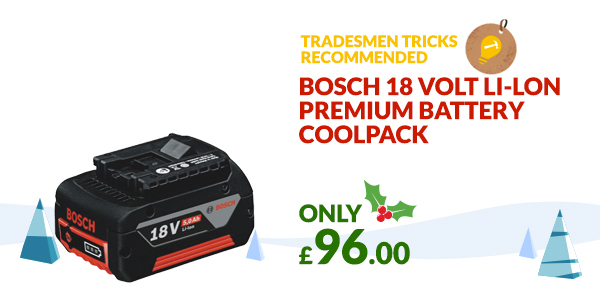 New power tools are to DIYers and amateur workpeople what new cars are to petrol heads – thankfully, power tools are a little easier to fit under the Christmas tree. We’ll cover what they are, why they’re great, and even the pick of the power tool litter across each type. Better yet, your combi drill will spin at multiple speeds. Low speed, high torque is perfect for driving screws; high speed modes help out with drilling. Versatility is the name of the combi drill game. You get a first-class tool that can handle multiple jobs, so there’s no need to keep switching between different drills. Brushless EC Motor: Achieves high speeds, produces minimal noise, weighs little, and uses remarkably few moving parts, which means less chance of failure. Kick-Back Control: Prevents the drill from slipping the user’s grip and swinging around. It’s what you need to avoid sprained wrists and cracked jaws. Precision Clutch: An optical electronic sensor detects when rotation stops and turns off the motor. It’s what you need to prevent damage to the screw head or screwdriver bit. There’s even an integrated LED light to illuminate darker working areas, and the short head length (only 184 mm) makes for relaxed handling in tighter areas. 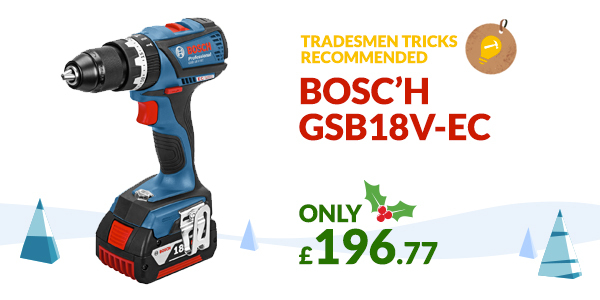 Hands down, the Bosch GSB18V-EC is one of the top models on the market, and it’s certainly one of the safest. When you give someone a rotary hammer drill, you let them know you’re aware they mean business. They’re used to drill masonry. Sure, a regular drill and masonry bit works, but a rotary hammer drill kicks things up a notch by offering more power, enhanced durability, and several added features – this is the tool of pros. 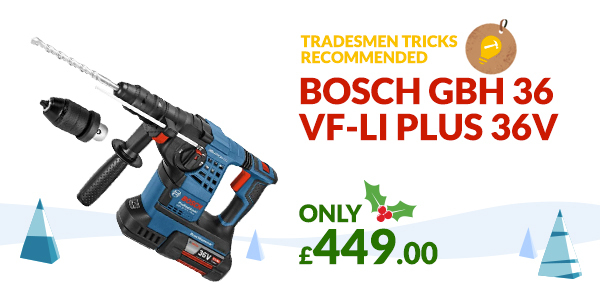 The rotary hammer drill is what you give someone who demands the tool of pros – the Bosch GBH 36 VF-LI Plus 36v lets them know you’ve studied hard to pick out the top dog. Every serious around-the-house workperson eventually needs a magnetic drilling machine, more commonly known as a ‘mag drill’. It’s a portable power tool that works just like a stationary drill press. A strong electromagnetic base holds it firm, and the drill bit produces holes. Compact design (377(max)x240x166 mm) for easy carrying and the ability to reach into tighter areas. An absence of external cables, otherwise known as the most common cause of mag drill breakdown. The long and short? 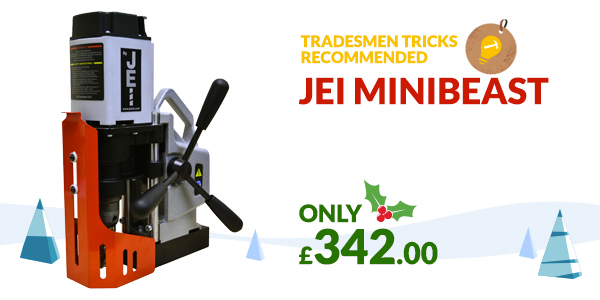 Your JEI MiniBeast is a perfect blend of brains and brawn that works just as well as an introduction for new users as it does in the hands of a seasoned pro. To learn more about Mag Drills, check out our dedicated post here. All welcome benefits for those attached to their power tools. Users will find their tools running longer and harder, all while their setup feels featherlight and their batteries charged up in a flash. Robust construction to protect against knocks and falls (they tested it with a 3 meter drop onto concrete. It was fine). Li-ion technology deserves special attention. You’ll find it powering the latest and greatest tools thanks to fast charging times and a weight 40% lower than NiMH batteries. As a cherry on top, Li-ion batteries can even be topped up regardless of current charge level without affecting battery life. Speed: Doing the same work by hand will eat up the hours (not to mention the elbow grease involved). Rechargeability: At the end of the day, the battery can be recharged – other battery-powered tools often demand a replacement. Convenience: No need to worry about extension cords – a cordless drill can go wherever its owner goes. 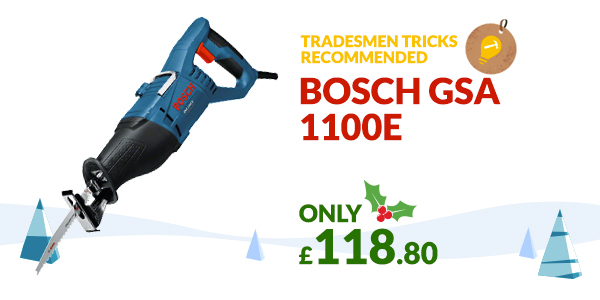 Safety: Going cordless means less chance of tripping and a reduced risk of repairs. With a drill set, you get all the advantages while boosting versatility through the roof. 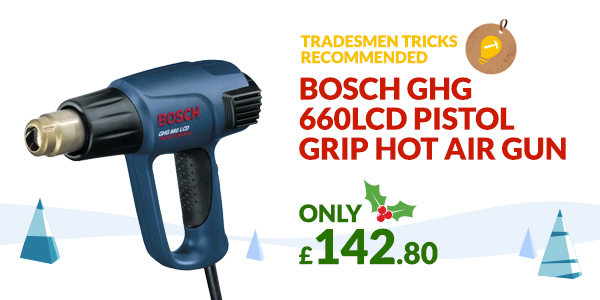 Torque runs between 30 Nm and 15 Nm, giving the Bosch GSR FlexiClick plenty of power to get the job done across various DIY tasks. The compact design (132 mm short) and low weight (0.8 kg without battery) enable precise use without fatigue, with rotatable chucks for use in tight situations, and there’s an integrated LED light to bring illumination to darker corners. Magnetic Bit Holder: Changing drill bits can take time, which is where a magnetic bit holder comes in. They’ll help guide the bit into place, making it simple to tighten the chuck around it. Lockable Bit Holder: An integrated lockable bit holder provides a helping hand that holds on to all common standard bits. Drill Chuck: These are designed to hold the bit tightly, even when there’s a healthy amount of torque. They can also be used with other rotating tools, including rotating spades utilized for larger holes. Angle Adapter: Need to reach a tricky area? Not to worry, the angle adapter can set the drill at a right-angle. Offset Angle Adapter: Further enhances flexibility with an offset angle, so users can work close to edges and walls. Diamond Tuckpointing Wheel: To quickly remove mortar without disturbing or damaging the surrounding brickwork. It’s one of those power tools that marks a step up from beginner to expert. 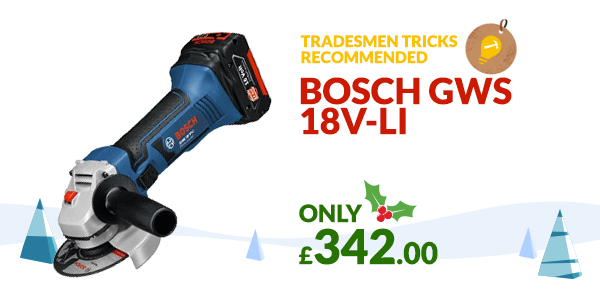 Complete with 5-amp batteries, the Bosch GWS strikes the balance between manageability and high-end power. It’s a forceful unit that offers a high removal rate and capable cutting performance, but it isn’t as bulky or expensive as heavy-duty models. As you can see, a heat gun’s work is never done. 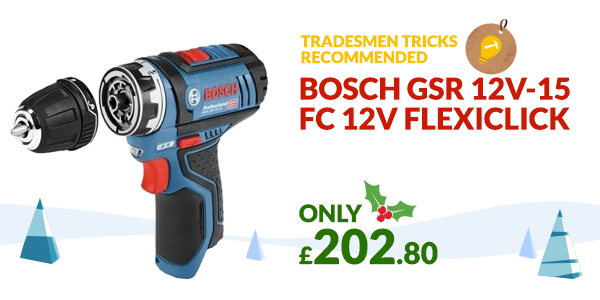 From stripping paint during a home improvement project to keeping the water flowing through the depths of winter, they’re an extremely useful tool that plenty of DIY enthusiasts neglect to buy – why not make a present of one? You can’t call your tool collection complete without a jigsaw – it’s one of the first pieces people pick up as their collection burgeons beyond hammer, screwdriver, and wrench. 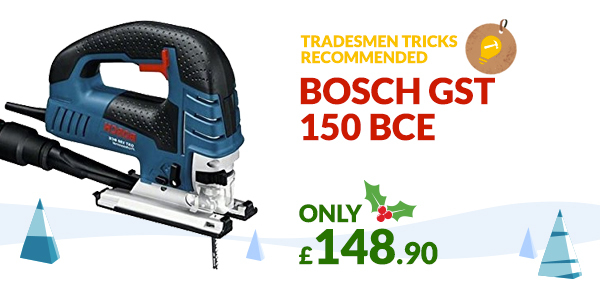 It’s ideal for novices since it can be handled easily with one hand, and it’s the only portable power tool you can use to cut curves. An all-metal gearbox allows for ongoing durability, and it’s fitted with a 4-stage pendulum and variable speed trigger and speed dial to allow users full control regardless of the material they happen to be cutting. Unfamiliar with the sabre saw? It’s a hand-held powered reciprocating saw – put simply, it moves a toothed blade backwards and forwards. The blade is a little longer than that of a jigsaw, and there’s no large sole plate to deal with. That said, the smaller the blade, the greater the variety of cuts. The sabre saw is extremely versatile, able to cut through metal, plasterboard, or plastic. Sabre saws lack the power necessary for dealing with large sections of wood, but they’re an ideal complement to tools used for such purposes – better yet, they’re considerably simpler and safer to use than circular saws, and variable speeds allow more precise control over the action of each cut. It’s as powerful as a corded model, able to cut up to 195 100 x 100 mm spruce beams to length with a single charge. The cutting action is fast, and the SDS mechanism ensures fast and simple saw blade changes. Compact and low in weight, it features Softgrip on both handles for slip-free work and added safety, ideal for first-time sabre saw users. There’s even an electronic accelerator switch with motor brake. Speed: Angles and depths are automatically set, so work can progress quickly without worrying about making mistakes. Power: Powerful motors ensure less user energy is needed to make holes. More power also enables the use of large drill bits for the drilling of wider holes. Versatility: Able to operate at varying speeds, drill presses can be used for sanding, boring squares and rectangles, and even drilling holes into metal. Safety: Drill bits are unlikely to break, and materials can be firmly secured using a vice or clamp to prevent slips and keep the user safe. 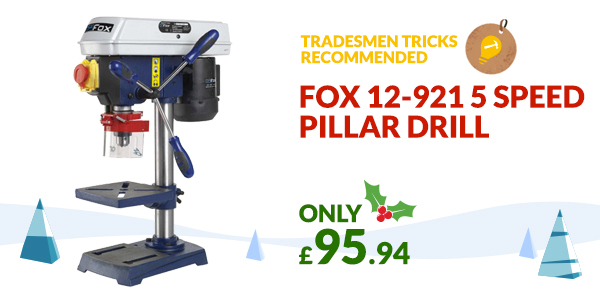 Pillar drills do take up a little more space, but compact models are ideally suited to smaller workshops. A tilting workbench comes complete with grooves for effortless vice fitment, and aluminium pulleys facilitate silent operation.